The Ecuador Flag is split in half horizontally, with the top half being yellow and the bottom half being split between two horizontal stripes of blue over red. 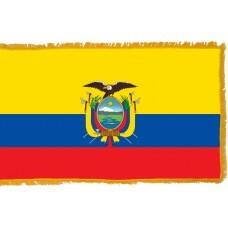 In the middle of the flag is the Ecuadorian National Coat of Arms. 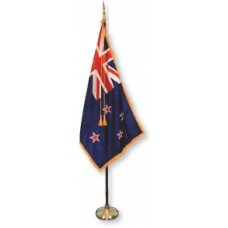 This flag has been in use since 1900, making it one of the world's most enduring national symbols. The color scheme is the same as those used by Colombia and Venezuela, with whom Ecuador shares a long history. The three modern nations were part of Gran Colombia, which US President John Quincy Adams described as one of the most important nations in the world. The modern nation of Ecuador is actually called the Republic of Ecuador, or Republica del Ecuador in Spanish. This means republic of the equator. The equator runs through the mainland of Ecuador, which is on the west coast of the South American continent. Ecuador also has outlying islands, including the world-famous Galapagos Islands, which are home to some of the world's most important wildlife species. Charles Darwin formed his theories of evolution after visiting the Galapagos. 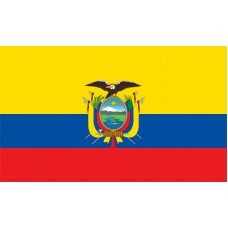 The yellow, blue, and red of the Ecuador Flag are primary colors. 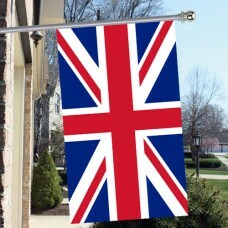 This is a deliberate design prescribed by the American liberator Francisco de Miranda, who was instrumental in ending Spanish rule in Venezuela. Venezuela, Colombia and Ecuador were provinces of Gran Colombia, which stretched from modern Ecuador to Panama and Guyana. Miranda decided to use yellow, blue, and red to represent a new start for this part of the world. As primary colors, they are untainted, and each has its own special meaning. Yellow is for warmth, blue is for depth and red is for action. All of these were needed to free the people of South and Central America from Spanish dominion. Ecuador has been home to Amerindian people for thousands of years. It became part of the Inca empire in the 15th Century, and was then incorporated into the Spanish empire. Its people have inhabited the area between the Andes Mountains and the Pacific Ocean for thousands of years. It is a very ethnically diverse country, which holds its traditions dearly. The country's landscape features tremendous natural diversity and beauty. The mainland has mountainous areas and spectacular coastlines, and the Galapagos Islands attract many thousands of tourists every year. The tourism industry is one of Ecuador's main sources of income. In addition to its natural wonders, Ecuardor is home to a rich history including the preserved Spanish colonial sites which are on UNESCO's World Heritage list. Oh homeland, we greet you a thousand times! brighter than the sun shining we see. And in turn, of thousands arising around you.